This weekend, WWE presents SummerSlam, their second biggest PPV of the year. The event, which already features 12 matches, will see Brock Lesnar defend his Universal title against Roman Reigns, and Ronda Rousey challenges Alexa Bliss for the Raw Women’s championship. This week’s Raw was the red brand’s final chance to build some momentum and hype for the event, so let’s take a look at the show’s results, and see how each superstar is faring heading into the event. Okay, so Dean Ambrose has no real reason to be on this list, being that he hasn’t wrestled in over nine months, but the Lunatic Fringe gets a spot on this list purely because it was awesome to see him back in the ring. His arrival was well executed, and while there is an argument to be made that it should have been held off until SummerSlam, there is every chance that he will turn on Rollins at the event, so they wanted him back a little bit earlier to plant the seeds for that. Not sure how I feel about his new haircut, though. The B Team were in action on this week’s Raw, defending their tag team titles in a triple threat match againt The Revival and The Deleters of Worlds. The match was one of the better outings on this week’s Raw, and it set up a match between The Revival and The B Team at SummerSlam quite nicely. For perhaps the first time since they have been a tag team, the B Team actually looked fairly strong here, and their victory saw Axel applying some actual in-ring knowledge to allow them to sneak their victory. As for the Deleters of Worlds, it looks as though their time in the WWE has come to an end, with Matt Hardy taking time off to have some surgery. With only days to go until SummerSlam, Alexa Bliss was at her heelish best on this week’s Raw, planting the final seeds for her upcoming encounter with Rousey. The opening segment, which saw her bring out a group of security guards to accompany her to the ring was great, and her match with Ember Moon was one of the highlights of the show. Having Bliss avoid Rousey after the match was a smart move, and didn’t give away any potential results for SummerSlam. The closer the event gets, the more I think she may just sneak out a victory. Finn Balor’s feud with Baron Corbin has not exactly set the world on fire, but at least it has provided the two men with something to do. I’m still not entirely sure which way this whole ‘Constable Corbin’ storyline is heading, but his feud with Balor is likely going to end at SummerSlam. 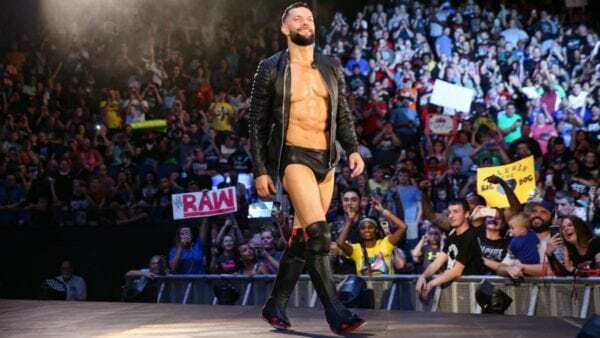 Balor took part in a tag match with Braun Strowman on this week’s Raw against the team of Kevin Owens and Jinder Mahal. The match was good fun, and Balor, in particular, got plenty of nice spots throughout the match. Once he has disposed of Corbin at SummerSlam, it would be nice to see Balor move up to the Intercontinental Title scene again, and work a program with either Dolph Ziggler or Seth Rollins. Braun’s Money in the Bank briefcase may be in serious jeopardy this Sunday night at SummerSlam. The Monster among Men once again let his temperament get the better of him on this week’s Raw, and his match ended with him chasing Kevin Owens to the back. As I’ve already mentioned with Balor though, the tag match involving Braun was one of the most fun parts of the show, and it was a nice final tease for two matches at SummerSlam. The post WWE Raw Rankings 08/13/18 – Brock Lesnar Makes a Statement Before SummerSlam appeared first on Flickering Myth.